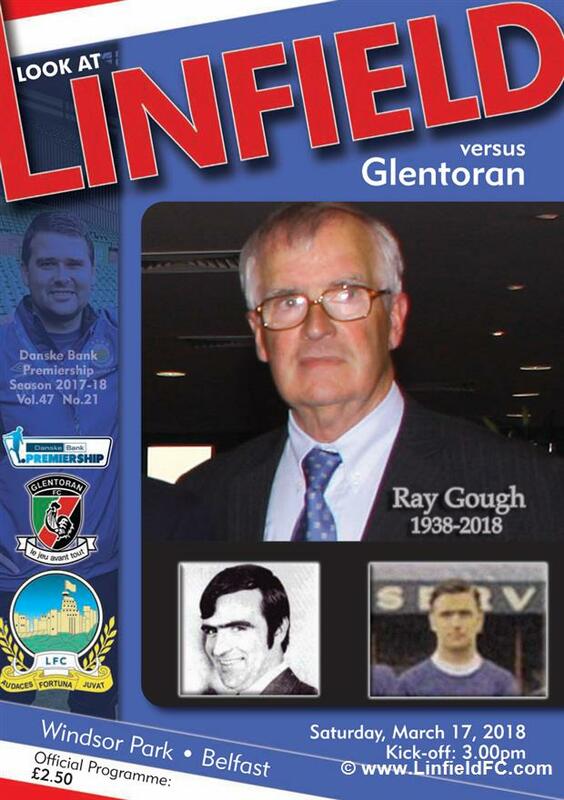 We will be delighted to welcome representatives from 1st Ballyclare Linfield Supporters Club to Saturday's game as our match sponsor. The year 2018 sees the 50th anniversary of the formation of the 1st Ballyclare Club. It was founded in 1968 by two staunch Ballyclare Bluemen, Stanley Wright and Robert Loughlin. For the first few years, the club meetings were held in local Ballyclare bars but at the start of the 1970s, the club took the step to purchase their own premises and bought a former dance hall in Abercorn Drive in the town. A three storey extension was soon added, resulting in a bar cellar, kitchen and dance hall on the ground floor, lounge bar on the 1st floor and snooker and darts room on the 2nd floor. Under Stanley’s guidance, the club went from strength to strength in the 1970s, 80s and 90s but like all other licenced clubs, hit hard times with the changes in public bar licensing hours, the smoking ban and the downturn in the economy from 2008 onwards. The Club Committee was forced to make stringent cuts in an effort to survive and these changes resulted in the club returning to a profitable situation over the last few years. It is now in a position to start, once again, making donations to the parent club. Another event planned for August of the Anniversary Year will be a Night with Linfield guests and supporters’ clubs. Further details of this event and invitations to other clubs will be available in June. We are very grateful to the Ballyclare club for its generous sponsorship of Saturday's game and we look forward to welcoming them back to Windsor Park later this year.